Like people all over the world, the Chinese have special customs regarding dead people and their ghosts that are thousands of years old. The popular folk religion called Daoism includes days for dealing with errant ghosts in the land. When they visit in the seventh month of the lunar calendar, special precautions and ceremonies are necessary. The Hungry Ghost Festival is the most important festival of Hungry Ghost month. The Hungry Ghost Festival is celebrated on the 15th day of the seventh lunar month. 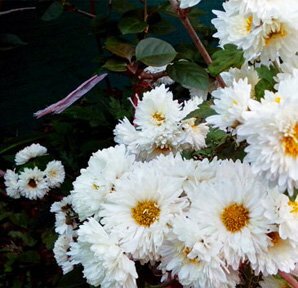 This day falls in July or August in our Western calendar. In southern China, the Hungry Ghost Festival is celebrated by some on the 14th day of the seventh lunar month. The people there are said to have begun celebrating the festival a day earlier during a time of long warfare to avoid being attacked by enemies during the inauspicious day. The Hungry Ghost Festival is one of several traditional festivals in China to worship ancestors. Others include the Spring Festival, the Qingming Festival, and the Double Ninth Festival. In Jiangxi Province and Hunan Province, the Hungry Ghost Festival is considered to be more important than the Qingming Festival and the Double Ninth Festival. The Taoist name for the Hungry Ghost Festival is the Zhongyuan Festival (中元节), and Buddhists call it the Yulanpen Festival. They perform special ceremonies to avoid the wrath of the ghosts such as putting the family’s ancestral tablets on a table, burning incense, and preparing food three times that day. The main ceremony is usually held at dusk. People put the family’s ancestral tablets and old paintings and photographs on a table and then burn incense near them. Plates of food are put out for the ghosts on the table, and the people may kowtow in front of the memorial tablets and report their behavior to their ancestors to receive a blessing or punishment. People also feast on this night, and they might leave a place open at the table for a lost ancestor. They want to feed the hungry ghosts who have been wandering the land since the beginning of Hungry Ghost Month. It is thought that after two weeks of activity, they must be very hungry. The Hungry Ghost Festival is one of several important festival days of Ghost Month (鬼月) — the seventh month of the Chinese lunar calendar. It is thought that the ghosts of Chinese ancestors are let out of hell on the first day of the month. It has been the scariest month of the year for thousands of years. They roam around looking for peculiar entertainment, and many fearful Chinese try to avoid swimming or being alone at night lest an enemy ghost comes after them. The ghosts attack their enemies, and they might be angry or malicious in general. So the Chinese have certain traditions about what to do about the situation on the first day, the 14th or 15th for the Hungry Ghost Festival, and the last day of the special month. One the first day of the month, people burn make-believe paper money outside their homes or businesses, along the sides of roads, or in fields. Sometimes, they go to temples for this task. On a trip to China during this time, you&apos;ll probably see people occupied with this activity or find the ghost money on the ground with ashes and remains. They want to give the ghosts the money they need during their special month. People also light incense and may make sacrifices of food to worship the hungry unhappy ghosts. People trust that the ghosts won&apos;t do something terrible to them or curse them after eating their sacrifices and while holding their money. They put up red painted paper lanterns everywhere including business and residential areas. 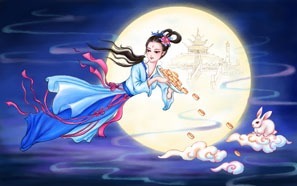 The last day of the seventh lunar month is marked with a special festival too. This is the day that the gates of hell are closed up again. People celebrate and observe this day in various ways. Many burn more paper money and clothing so that the ghosts can use these things in their hell society. The pictures and tablets of ancestors may be put away back on the shelves or hung back on the walls where they were before. In order to drive the ghosts away, Taoist monks chant to make them leave. The ghosts are thought to hate the sound, and therefore scream and wail. Many families float river lanterns on little boats in the evening. People make colorful lanterns out of wood and paper, and families write their ancestors’ name on the lanterns. The ghosts are believed to follow the floating river lanterns away. The origin of the Hungry Ghost Festival and the Ghost Month (鬼月) in China is uncertain. Cultures in Asia from India to Cambodia to Japan share similar beliefs about the month, and these traditions seem to date from before Buddha. More ancient folk religions covered the entire area. Some of the ancient folk religion is incorporated in Taoism, the indigenous religion of China. 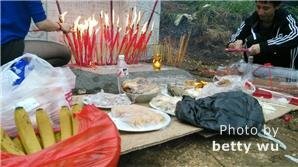 The gates of hell are opened on the first day of the seventh month, and hungry ghosts are released to find food or to take revenge on those who have behaved badly according to Taoist records. The Taoists chant together to free the ghosts. Another story says King Yama (the king of hell) opens the gates of hell and allows a few wild ghosts to enjoy the sacrifices on the first day of the seventh lunar month. The gates are closed on the last day of that month, and the wild, hungry ghosts return to hell. Some Chinese think that the gates of heaven are also opened during this month, and they worship their ancestors from heaven too. The Hungry Ghost Festival comes at a time of year when the moon is full near the end of summer. In many ways, this festival is reminiscent of Halloween or the Night of the Dead in Western countries. Cultures from Europe to China have traditional days of the dead or ghost days that are thousands of years old that were part of the tribal folk religions before the advent of Christianity in Europe and Buddhism in Asia. In Britain, Halloween originated from the traditional holiday of Celts in Great Britain who believed that the last day of October was “the day of the dead” or “the ghost day” when ghosts crossed over the boundary between the living and the dead. The Chinese belief is similar. Chinese believe that on the days of Ghost Month and especially on the night of the full moon there is more of a bridge between the dead and the living, so they must take precautions or honor the dead. They perform ceremonies or traditions to protect themselves from attacks or pranks by the ghosts and to honor and worship their ancestors or famous people of the past. It is believed that the ghosts of dead people can help and protect them. 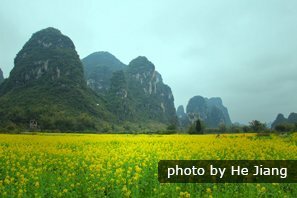 Would You Like to Visit China During This Festival Time? China Festival Tour: We can arrange a tour for you during the time of the Hungry Ghost Festival or other festivals according to your specifications.